Berm landscapes are characterized by an attractive vertical impact that adds scale and scope to any Houston landscaping design. 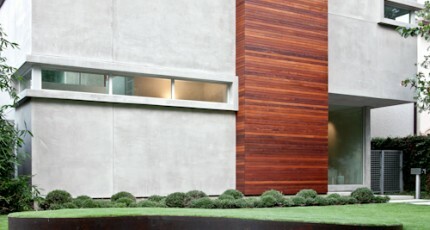 Architectural accents are reflected in the landforms that correspond to motifs expressed in the build of the house. Smaller berms create boundaries around unique zones of interests, patios, and gardens. 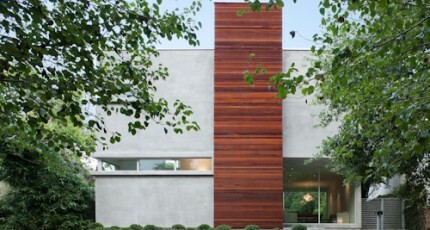 Larger earthworks form beautiful walls that support tree walls that protect the privacy of personal outdoor living. The basic form of a berm can be adapted to create these, and many more, unique enhancements to a Houston landscaping design. Essentially what we have is a mound of earth whose linear run is several times longer than its vertical rise. In some senses, it resembles a hill that is carefully constructed to deliberately change the grade of the land and achieve specific functional and aesthetic effects. These landforms can be built to any height appropriate to the scale and scope of the surrounding Houston landscaping design. Generally, they are intended to add vertical impact to neighboring elements that creates a dramatic increase in aesthetic interest. Gardens, for example, will stand out a great deal more with a slight rise around their perimeter. Berm landscape forms can also be built around patios and alongside of walkways. Oftentimes, the organic presence of vegetation that is planted on the top of the berm will have a softening effect on hardscapes. This works to more effectively blend unique materials such as decorative concrete, natural stone, polished stone, and brick with trees, lawns, shrubs, and gardens. 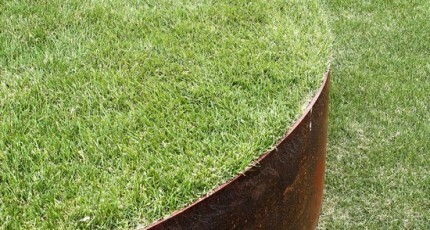 There are also functional benefits that one can expect from adding vertical impact to any yard. The Gulf Coast region is characterized by very flat land that often experience problematic drainage during times of heavy rain. Berm landscapes can be used to conceal sophisticated drainage systems that siphon off rain water before it has a chance to flood gardens, hardscapes, and outdoor buildings. This maintains the appearance of the Houston landscaping design while preserving the integrity of its appearance at the same time. There is also a very practical use for larger earthwork structures. People with larger yards want to have several zones of interests where they can entertain guests in a variety of capacities. These areas must be differentiated in a Houston landscaping design in order to appear set apart, special, and unique enough to draw people into their interiors. Berm landscapes in these instances can be used to create separation. Larger forms of vegetation can be planted along the tops of berms to create varying degrees of privacy. Shrubs appropriate to corresponding Houston landscaping design can be used to partially screen of special areas without completely obscuring visibility. When total privacy is desired, tree walls planted along the tops of berm landscapes form organic walls that prevent others from looking into an area. Unique illumination, generated by LED landscape lighting or outdoor fiber optic lighting, can then add an aura to the tree wall that gives it a beautiful mystique that appears warm and ambient from both exterior and interior vantage points.